First, the book news is that Bad-Mouthed is now available at most ebook retailers and will soon be available in paperback. Bad-Mouthed actually was released on Dec. 3rd, which makes me a little late in announcing it here. Like the cobbler’s kids who go without shoes, this blog has been neglected while I did some guest blogs to promote the book. The good news is that the blogs are still out there, at least for now. So cute! So. . .difficult! 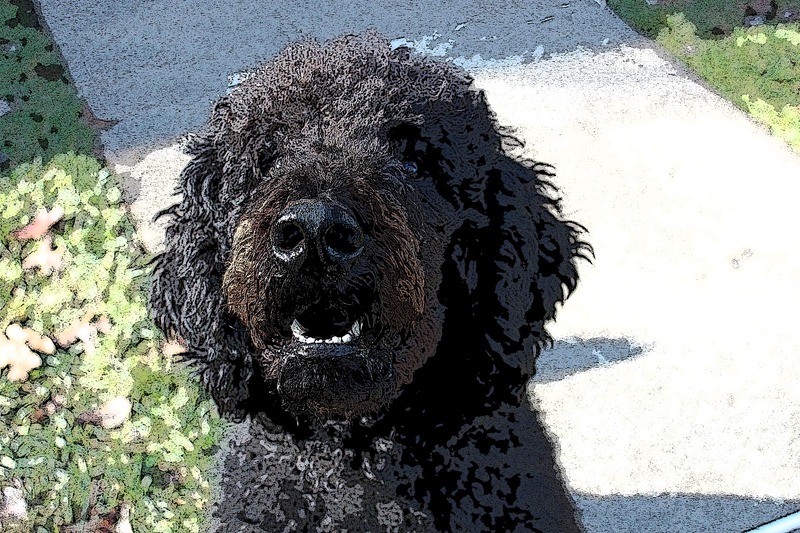 In “Labra-whaaaat?” over at A Blue Million Books, I talk about how I came to write a series with a labradoodle as the narrator. See that oh, so cute puppy? Devil dog! 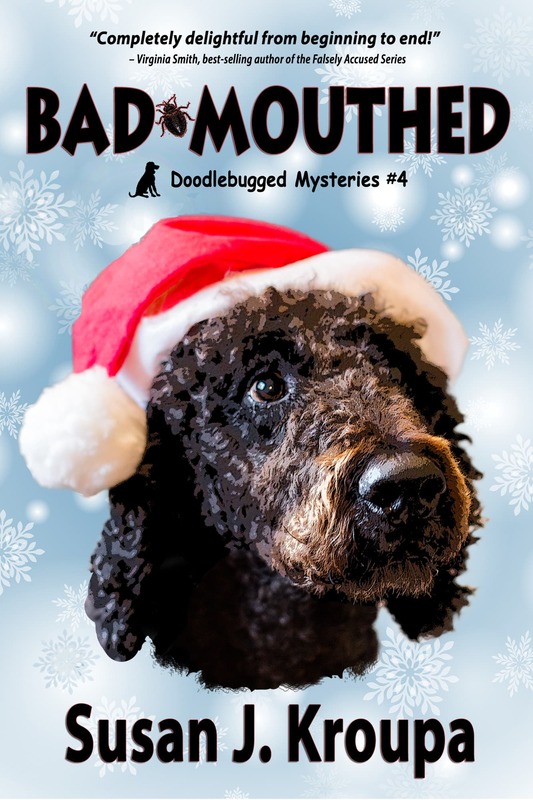 And over on Melissa’s Mochas, Mysteries and Meows, Doodle gives an interview where he gives his take on Christmas, bedbugs, his life as a sniffer dog, and, yes, cats. Here is the whole blog tour. If you hurry, meaning you post comments on any of the sites before Friday Dec 12, you can enter to win a free copy of Bad-Mouthed. 3 Partners in Shopping: Nosing Out a Series or How I came to write about eeuuuw, bed bugs! A Blue Million Books: Labra-whaaaat? 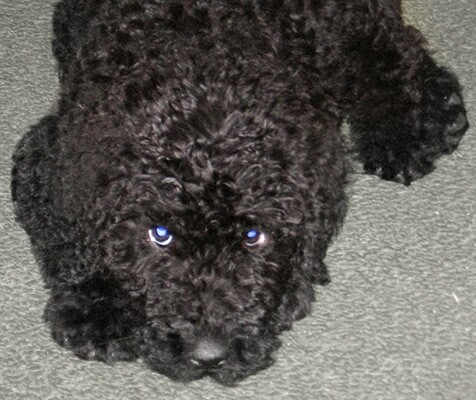 How a cute little labradoodle puppy led to a series about an obedience-challenged dog.